I posted last week about the dietary habits of the Otter (Lutra lutra). Well, carrying on from this, I thought that I would follow-up with the initial results from a personal study. The extract below is heavily condensed but gives an insight into the diet of otters on the River Petteril, Cumbria. I posted last week about the dietary habits of the Otter (Lutra lutra). Well, carrying on from this, I thought that I would follow-up with the initial results from a personal study. The extract below is heavily condensed but gives an insight into the diet of otters on the River Petteril, Cumbria. 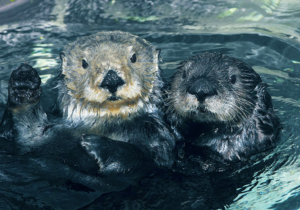 With the results support the theory otters hunt based on prey abundance, as opposed to personal preference – as is often claimed elsewhere when human/otter conflicts arise. Fish were the most important component of otter diet throughout the year (60%) with otters consuming fish from six families; Anguillidae, Cottidae, Cyprinidae, Gasterosteidae, Percidae and Salmonidae. Of the fish species consumed, three-spined Stickleback (18.3%) and cyprinids (16.6%) where of the greatest importance followed by salmonids (10.6%) and bullhead (8.3%). The remaining species (Perch and European eel) were barely represented (1.6%) and were of little importance as a food source. Both birds (10%) and mammals (12%) occurred in significant quantities, though to a lesser extent than fish, and as such were of secondary importance. Among these otters consumed species from six families; Lagomorpha, Soricomorpha, Rodentia, Anseriforme, Passeriforme and Rallidae with only one species, the rabbit, occurring in significant quantities (5%). Among the other prey groups consumed by L.lutra amphibians were of little importance (5%) contrasting with data from elsewhere in the Palearctic zone whilst invertebrates (5%) and crustaceans (3.3%) factored minimally and were likely consumed as a by-product of piscivorous predation. Avian prey was of greatest significance during the late spring/early summer period with birds making up 38% of otter diet between March/May and 30% during June whilst failing to occur at all outside this period. This spike in predation coincides with the known avian breeding season and as such it is likely otters are making use of inexperienced juvenile birds or the increased vulnerability of brooding adults. Lagomorph predation shows a distinct trend rising from 0% during the winter/spring period to 20% during the month June before again falling to 12% during November and December. As is the case with avian prey it seems otters are making use of a seasonal glut associated with the abundance of rabbits during the warmer summer months. Few trends are present amongst fish species with stickleback predation remaining high year round and cyprinid predation declining only moderately as the year progresses. In contrast with these trends, Salmonid predation does, however, show a distinct temporal trend with predation rising considerably to 62% during late autumn. This coupled with the large size of the bones recovered suggests that otters are making use these species as they return to their spawning grounds or as the dead adults are washed downstream after spawning. This seems likely given the low frequency of salmonid predation during Jan/Feb and March/May, where the only bones recorded were that of fry and parr. It should be noted that though both Atlantic salmon and sea trout are known to persist in the Petteril and both migrate on mass at certain times of year, making a differentiation between the two species impossible though in two instances bone morphology revealed Salmo trutta. In total 32 spraints were collected during the course of the investigation showcasing a comparably small dataset when compared to similar Lutradae based studies Such studies are, however, usually focussed over a large area thus requiring a broad range of data to account for a host of limiting factors. As such the number of samples collected during the course of the present study was more than sufficient to analyse the diet of L.lutra over what is a comparatively small area (0.748km). 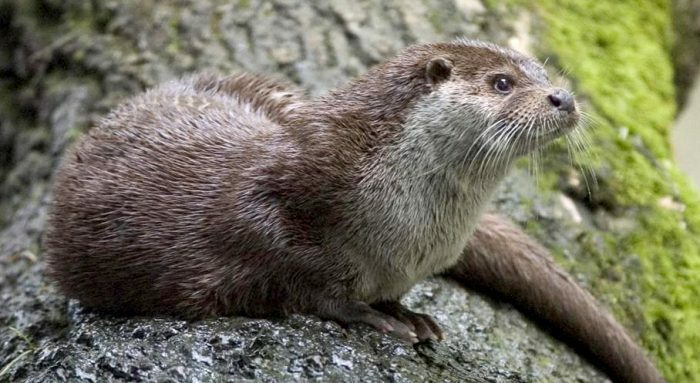 Overall otter diet in the Petteril catchment was comparable with that of other Palearctic freshwater populations (Cousins et al, 2011; Britton et al, 2006; Copp and Roche, 2003; Arca and Prigioni, 1987) and true to evolutionary adaptation with fish being most important component in the diet of L.lutra throughout the year (RFO=60) whilst other prey categories though consumed in significant quantities were of secondary importance. 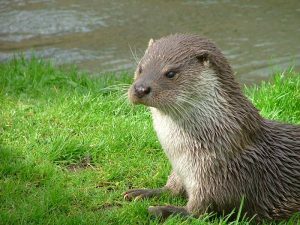 Results from this study provide clear evidence for abundance based prey selection among otters inhabiting the River Petteril, with predation occurring based on the abundance of prey populations rather than bias. The fish species consumed were exemplary of piscivorous communities in the region and consistent with previous electrofishing surveys carried out in the area (Eden Rivers Trust, 2013). Predation frequencies clearly reflected the relative abundance of species within the ecosystem, with the exception of A.anguilla which made up only 1.6% of the overall diet contradicting previous abundance estimates made by Eden Rivers Trust (2013). The prevalence of stickleback in the diet contrasts considerably with results from similar studies across the Palearctic zone where this species is often infrequent (Chanin, 1981; Britton et al, 2006; Cousins et al, 2011) if not absent from diet of L.lutra (Lanszki et al, 2010; Krawczyk et al, 2011). Indeed, this high reliance on G.aculeatus (RFO=18.3) is comparable only with otter populations from Northern Ireland which show similar results (RFO-21.2) (Preston et al, 2006). Daoud et al (1985) presents a possible explanation for this by detailing how numbers of G.aculeatus are prone to fluctuations whilst O’Neill (1995) details how sticklebacks are preyed upon in large numbers by salmonids and as such could be consumed as a by-product of salmonid predation. In this case, this seems unlikely with G.aculeatus featuring heavily in otter diet throughout the month of June when salmonid remains were wholly absent. It is therefore likely otters are consuming sticklebacks based on their abundance in the ecosystem. The frequency at which other fish such as bullhead and small cyprinids were consumed lends further credence to this theory of abundance based prey selection, with both commonplace throughout the Petteril ecosystem (Eden Rivers Trust, 2013). This suggests that that otters are indeed selecting prey on their abundance in the ecosystem. Salmonid predation perhaps best depicts the opportunistic tendencies of L.lutra with consistently low predation levels rising to a peak of 62% during the months of November and December. This highlights perfectly the abundance of these species within the Petteril catchment with the small resident salmonid population bolstered each year as adult brown trout and Atlantic salmon (Salmo salar) migrate upstream to spawn. The low frequency of salmonid predation between January and November and the small size of the vertebrae recovered during the study show otters to be consuming regularly, though infrequently, young resident fish with the quantities consumed correlating with abundance surveys carried out by Eden Rivers Trust (2011). The sharp rise in predation during the early winter suggests otters are capitalising on salmonid spawning aggregations when they are available in much higher numbers whilst the sharp decline in predation from January onwards showcases a decline in salmonid abundance presumably after migrating fish perish or return to the sea. This seasonal exploitation of salmonids is recognised throughout the literature. Birds too favour abundance as the main catalyst for predation, occurring regularly in the diet of L.lutra (F=18.75) though to a significantly lower extent than fish (RFO=10) in keeping with conclusions reached by Carss et al (1998). Avian predation shows a distinct temporal trend with a peak of 38% during the month of March dropping to 20% between May and June. This coincides with the known avian breeding season echoing similar findings from Chanin (1981) and De La Hey (2008) both of whom recorded similar peaks in predation during the late spring/early summer. Otters are clearly capitalising on the increased vulnerability of avian prey during this period stemming from an abundance of inexperienced juveniles and brooding adults. The species consumed by L.lutra again support to the theory of abundance based prey selection with both Anseriformes and Ralliformes the species most likely encountered within the ecosystem. The addition of a passerine species in the diet similarly fits this theory with a number of Passeriformes nesting low down in the riparian zone, within easy reach of otters. Among these; kingfisher, dipper, grey wagtail and pied wagtail were noted in abundance during the study and likely explain the presence of such a species in the study though, in this instance, identification to species level was not possible. Mammals like birds occurred infrequently yet regularly in the diet of L.lutra (RFO=12%) though to a higher extent than similar studies from both Britain (Britton et al, 2006; Chanin, 1981 etc) and the wider Palearctic zone (Taastrom and Jacobsen, 1999; Krawczyk et al, 2011 etc). Yet again the species consumed correlate with those most likely encountered within the ecosystem with M.glareolus and both Lagomorph and Soricomorpha species common throughout the area. Of the mammal species consumed otters appear to rely heaviest on Lagomorphs (RFO=5) with predation reaching a peak during the month of June coinciding with an abundance of juvenile rabbits during the warmer summer months. Amphibians factor minimally in the study and are of little importance as a prey item throughout (RFO=5) occurring on only three occasions and displaying no temporal trends. 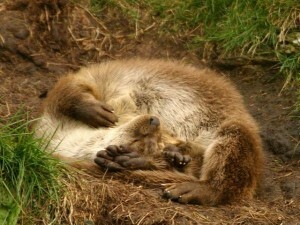 This contrasts greatly with the general consensus that otters take advantage of amphibian spawning aggregations (Weber, 1990) and differs substantially from results of similar studies from across the palearctic zone where amphibians form a major component of otter diet (Britton et al, 2006; Prigioni et al, 2007 etc). The habitat at focus of the study provides a likely explanation for this with frogs, toads and newts favouring standing water for breeding as opposed to the riverine ecosystem at the heart of this study (Baker, 2011).